That grumpy ol' Grinch is back once again in 2018's 'The Grinch', the third on-screen adaption of the beloved Dr Seuss story. 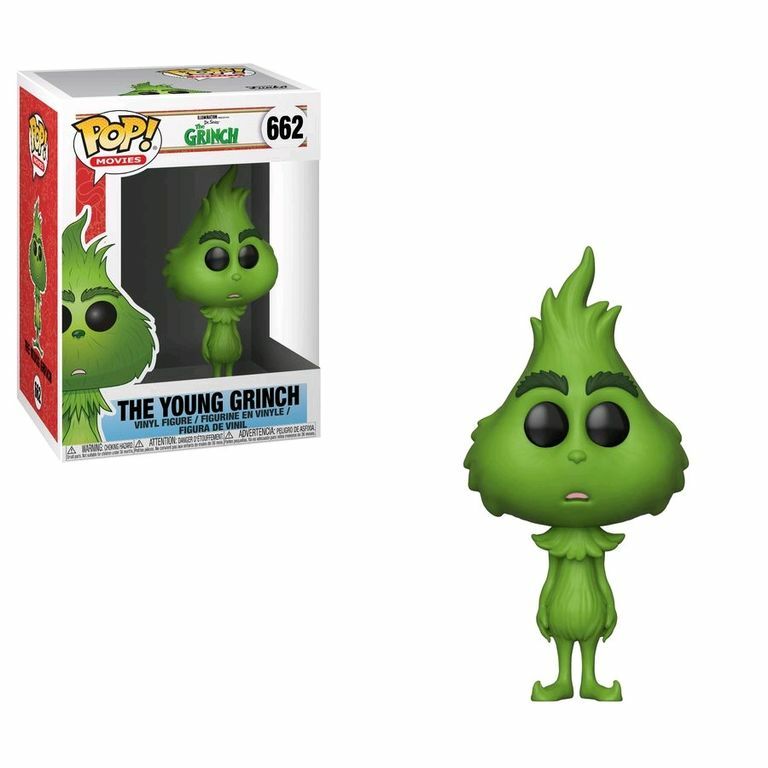 To celebrate, Funko have announced a new wave of Grinch Pop! Vinyl Figures! In the film, The Grinch (played by Benedict Cumberbatch) hatches a scheme with his trusted canine Max to ruin Christmas, when the residents of Whoville plan to make their annual holiday three times bigger that year. Meanwhile, Cindy-Lou Who plans to seek out Santa Claus to thank him for helping her widowed mother every Christmas, but little does she know she is trying to blow the Grinch's cover. This Pop! features The Grinch, the misanthropic grumpy, green creature who hates Christmas, however here we see him as a child.